Quest'opera è distribuita con Licenza Creative Commons Attribuzione - Condividi allo stesso modo 4.0 Internazionale. Copyright © 2013 (including books) by Saretta.L. All rights reserved. 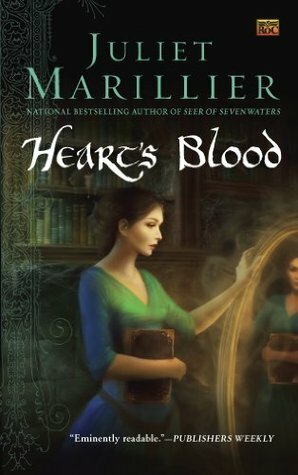 Heart’s blood by Juliet Marillier is a Beauty and the Beast retelling, in which the magic elements (the mirror, the rose) are put in a defined historical context, The XII century Ireland during the Norman invasion. Caitrin is a young scribe and she is running away from an abusive family, and chooses to propose her service as translator and writer at Whistling Tor, a fortress surrounded by woods, known as malicious. Whistling Tor, and its chieftain Anluan, are subjected of a malediction lasting for more than one hundred years: the surrounding hills are populated by the dead people come again alive, and only Anluan mental control stops them in devastating the surrounding areas. Anluan is presented as a resigned character: because of an illness as children he has some physical impairments, and he thinks he is not suited for his role, but the arrival of Caitrin will change the situation and bring hope again. I found this novel excessively long and obvious: Caitrin keeps on talking about hope, probably in the logic of repetita juvant, and the final turning of events is quite foreseeable. The love story between the two main characters (Caitrin e Anluan) is thick as a leaf, we are told they are in love, and we have to believe it, despite the fact that they met a couple or times exchanging a few words. Too bad, because other elements are innovative, like the creepy mirrors, the sorcery operated by one of Anluan’s ancestry, and the historical dimension that was partly exploited. 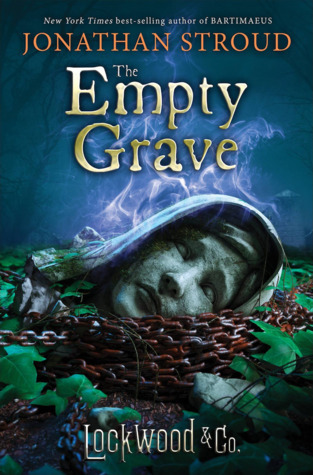 The Empty Grave ends the Lockwood & Co series, that with this novel reached the fifth installment. In the ending of the previous novel (The Creeping Shadow), thanks to the skull’s revelations, we could guess the main narrative line of this novel. The Lockwood & Co. team main focus here is to understand better the outside world, discovered in the previous novel, but they also are after some ghosts, and these parts of the book are mainly interesting because they provide info about the feeling of the main characters. To talk about the plot of this novel is quite hard (if one wants to avoid spoilers), so I leave the book to the readers. I liked very much this ending novel, also because of some well-devised plot twists. The characters are always coherent with the background built with the previous books; here the main focus is on Lockwood and on his recklessness in finding dangerous situations, as Lucy has by now understood. This series is a very good and enjoyable one, an absolutely suggested read. 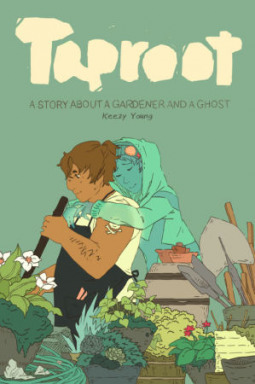 Blue is a ghost, and the only human able to see him is Hamal, a gardener kind and friendly gardener, willing to have at his home Blue and other ghosts without home. However, Blue faces an issue: he is in love with Hamal, and he discovers that Hamal ability to see ghosts has ripercussions also in the local afterlife, so that Hamal himself is in danger. The book is all about a cute romantic love story, even if not a particularly complex one; the graphical component is well aligned with the narration style, but I expected something more concerning the plot. Thanks to the publisher for providing me the copy necessary to write this review. Abigail Rook, ragazza di buona famiglia fuggita di casa in cerca di avventure (sulla scia dello spirito paterno), approda nel New England e trova subito impiego come assistente di Jackaby, detective dell’occulto, esperto in crimini particolari e in grado di percepire tutto quello che di soprannaturale e paranormale lo circondi. La città è proprio in quei giorni scossa dalla scoperta di un omicidio piuttosto anomalo a cui Jackaby decide prontamente di indagare. La trama da qui si dipana tra conflitti con la più tradizionale forza di polizia (che non crede a una parola dell’investigatore), alla scoperta di diverse creature soprannaturali e alla ricerca del vero colpevole. Come struttura narrativa questo romanzo ricorda molto la serie di Lockwood & Co (ambientata in un’Inghilterra infestata da fantasmi e per ora composta da due romanzi: The screaming staircase e The whispering skull); anche qui la storia è narrata dal punto di vista dell’unico personaggio femminile, spalla dell’investigatore principale (caratterizzato dalla tendenza a nascondere le proprie scoperte o a comunicarle in modo criptico). Cito come termine di paragone la serie di Lockwood & Co perché abbastanza nota e recente, bisogna però ricordare che questo impianto risale anche a altri romanzi o serie (come quella di Sherlock Holmes ad esempio): un investigatore con un assistente, diversi punti di svolta nell’intreccio, trovate brillanti che il lettore può apprezzare solo in conclusione. Nel complesso è un romanzo gradevole anche se non particolarmente originale. Ringrazio l’editore per avermi fornito la copia necessaria per stendere questa recensione. Abigail Rook, a well-bred girl who runs away from home in the seek of adventure (in the wake of her father’s past), she arrives in the New England and she is employed as Jackaby assistant, him being an occult detective, expert in peculiar crimes and able to perceive everything supernatural and paranormal is around him. The day Abigail arrives in the city is discovered a strange murder that Jackaby chooses to investigate on. The plot from this point forward is about conflicts between Jackaby and the more traditional approach of the police (that does not believe a world of the detective), the discoveries of different strange creatures and the investigation to find the true culprit. The narrative structure is very alike to the one of the Lockwood & Co series (set in an England where ghosts come to haunt the people and till now formed by two novels, The screaming staircase and The whispering skull); in both the novels the main point of view is the one of the only female character, assistant of the main detective (who tends to avoid explaining his discoveries or explain them in the most cryptic way). I’m referring to a comparison with the Lockwood & Co series since it’s new and known, however this narrative structure can be found also in other books (the novels about Sherlock Holmes for example):there is a detective with an assistant, there are some turning points in the plot and clever ideas that the reader may appreciate only in the end. 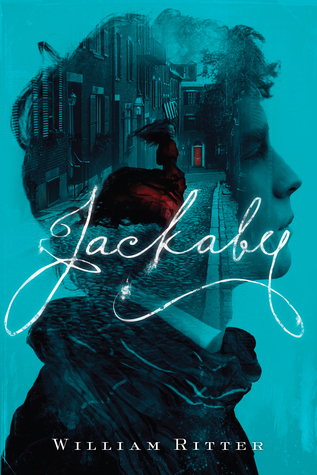 Jackaby overall is a nice novel, but not a particularly innovative one. Ava is born with a pair of beautiful wings, attached to her body and impossible to be removed surgically; Ava has also a twin brother, Henry, who prefers not to talk and not to be touched. They are a couple of peculiar child, and their weirdness comes from back in time, from their French great-grandmother, before her immigration to the USA. Ava’s voice bring the reader into the story of her family, from her silent great-grandmother, to Emilienne, Ava’s grandmother, who brings the sorrow of her brother and sisters who left her, and Ava’s mother, Viviane, suffering for a unrequitted love; all of them have something strange skills, and it’s like this weirdness, this magic, accumulated till the born of Ava. The novel is not all about the past (the structure in this sense reminds me of Middlesex), Ava tells also the story of the present time – her childhood lived at home, her mother being protective for Ava strangeness, her few friends – and of a specific and dramatic period of her life. 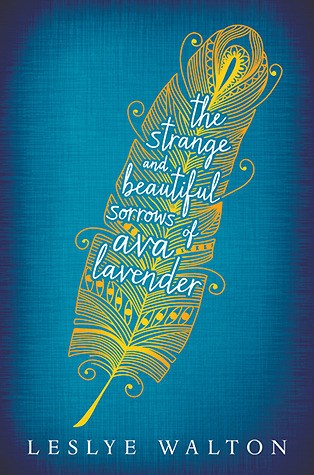 The strange and beautiful sorrows of Ava Lavender is an intense novel, mainly in the ending part, and it’s so easy to like the main characters, so strange but so different from the brutal normality of common people around them. In The walls around us two voices tell their story: on one side Violet, young ballerina who has almost reached New York and fame, on the other Amber, convict since three years in the Juvenile Correction Institute Aurora Hills. They have in common only one thing: Ori, also a ballerina and also a convict for a bloody murder. While Violet tells about her future and reflects on what happened to Ori, her best friend till the tragic day, Amber speaks about her past (a violent stepfather, a mother who did not want to see) and her life in Amber Hills, the relation with the other girls there and the memory of the one magic August night when the lock bust open without Conviction Officers around. Going on reading we understand that much we are told is not quite the truth, and the novel is a good example of unreliable narrator, because, among the one who lies, who want the past to have taken a different course, who forgot or chose to forget, the true course of events is clear only at the end. The characters are well-developed and their confusion – true or faked – is believable and it is one of the forces (in addition to the style that I liked) that makes this story interesting. 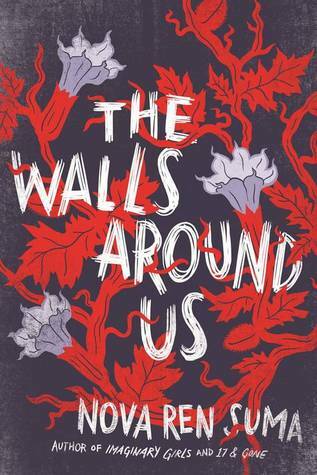 It’s a tale of interrupted lives, who are searching their past for the impulse that brought them to the extreme action and to the conviction, of girls who want to obtain the justice denied in the courts that posed these walls around them.